The clouds are arranged in lines: this because the Föhn Wind is building ‘standing wind waves over the mountains: if the wind goes up it, water condensate and builds the cloud lines. 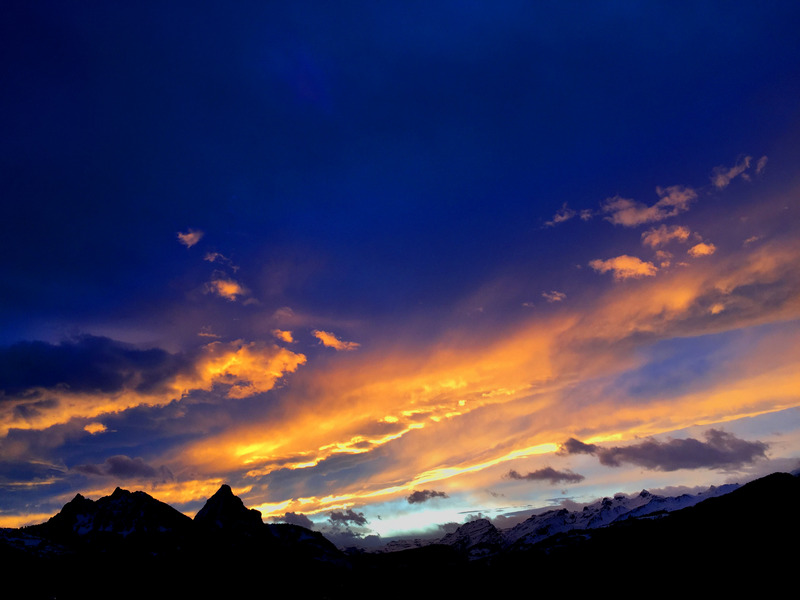 This entry was posted in Photography, Pictures, Switzerland and tagged Clouds, Föhn, Photography, Sunrise, Switzerland by Erich Styger. Bookmark the permalink.